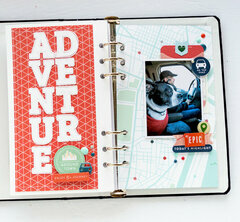 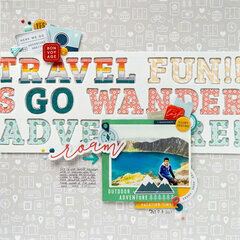 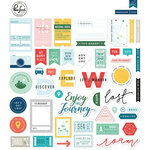 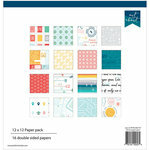 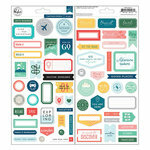 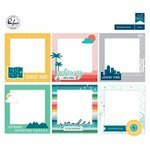 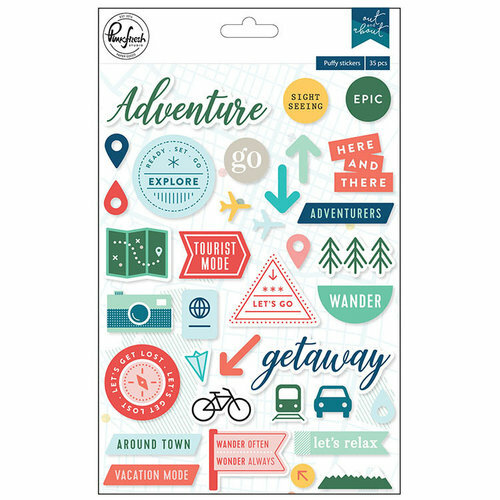 Give your vacation pages a bit of dimension with the Out and About Collection Puffy Stickers by Pinkfresh Studio. Included in the package are 35 assorted puffy stickers featuring a map, trees, bicycle, words such as "adventure," "getaway," "epic" and more. 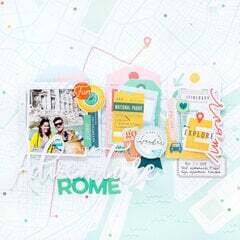 Love the designs! 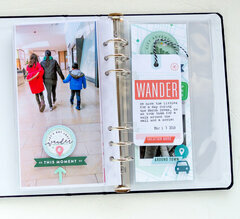 So modern for today’s travel snaps!